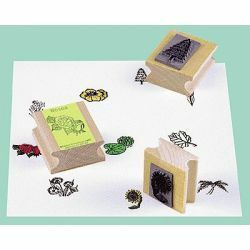 A set of 12 quality stamps to help students learn about flowers and trees. Can also be used to reinforce vocabulary and for creating imaginative stories. STAMPS INCLUDED ARE SUNFLOWER, DAFFODILS, PINE TREE, WATERLILLIES, PANSIES, DAISY, MAPLE LEAF, TULIPS, ROSES, WILDFLOWERS, PALM TREE, & IRISES.